Born July 9, 1955, in Brooklyn, New York. Smits was the eldest of three children born to Emelina and Cornelis Smits. A second generation American of mixed ancestry (his mother was Puerto Rican, and his father was Dutch), Smits was raised primarily in Brooklyn. He attended Thomas Jefferson High School, where he was both an athlete and actor of considerable talent. He continued his education at Brooklyn College, receiving a B.A. degree in theatre, and earning an M.F.A. from Cornell University in 1982. In the early 1980′s, Smits traveled the U.S appearing in repertory and off-Broadway productions. After considerable stage success he was cast in several movie and TV projects, most notably the two-hour pilot for Miami Vice (1984), where he was featured as Don Johnson’s partner. In 1986, Jimmy Smits landed his first big screen role as a drug dealer in Running Scared. Later that year, he found his niche in television when he was signed to play attorney Victor Sifuentes on the weekly series L.A. Law. During its six-year run, the courtroom drama was a critical and commercial success. Smits earned an Emmy Award for Outstanding Supporting Actor in a Drama Series in 1990, while he cultivated his image as an Hispanic heartthrob with his character. While working on L.A. Law, Smits segued onto the big screen, landing the lead role in Old Gringo (1989), opposite Jane Fonda and Gregory Peck. Although his performance as General Arroyo was recognized, the film inspired little interest in moviegoers. In 1991, Smits left L.A. Law, shelving his TV career to wholeheartedly pursue a film career.He set his sights on movie stardom, but like so many other hopefuls his efforts met with limited success. In 1992, he returned to the small screen, appearing in the documentary The Broken Cord. The following year, he appeared in Stephen King’s The Tommyknockers (1993), which marked his first performance in a TV miniseries. Later that year, the producers of the gritty police drama N.Y.P.D. Blue offered Smits the series’ lead role (after David Caruso’s departure). Smits accepted the part, which re-teamed him with L.A. Law producer Steven Bochco. In the fall of 1994, he debuted on N.Y.P.D. Blue as detective Bobby Simone, staging a sensational comeback and winning the hearts of a skeptical audience. He remained with the show until 1998, when he delivered a heart-wrenching performance in the season finale. During his run on the show, Smits earned five Emmy nominations as Lead Actor in a Drama Series. While working on N.Y.P.D. Blue, Smits attracted further attention with a lead role in the Latino film Mi Familia (1995), alongside Edward James Olmos. Smits continued to pursue film roles, appearing in the thriller The Million Dollar Hotel (2000), which paired him with Mel Gibson, Milla Jovovich, and Gloria Stewart. Despite an impressive cast, the film, which debuted at the Berlin Film Festival, failed to attract a wide audience in America. Later that year, he headlined the boxing drama Price of Glory and the supernatural thriller Bless the Child, opposite Kim Basinger. Smits also appeared in the final two Star Wars films—Attack of the Clones (2002) and Revenge of the Sith (2005). Smits also made a brief return to television in 2004. He appeared as congressman and presidential hopeful Matthew Santos on the critically acclaimed The West Wing until it was canceled after the 2005-2006 season. In 1981, Smits married his high school sweetheart, Barbara. The couple had two children together before they divorced in 1987. He is currently dating long-time companion and fellow actress Wanda De Jesus. On a personal level, Smits remains passionately committed to the Latino community. Along with comedian Paul Rodriguez and actress/singer Jennifer Lopez, he has invested in The Conga Room, a Los Angeles dance club which serves as a vehicle for Latino music. Smits has also founded The National Hispanic Foundation for the Arts, an organization that promotes Hispanic talent in the performing arts. Do you want to hire Jimmy Smits? Directly request a quote. In 48 hours we can send you the availability of Jimmy Smits If you would like to book Jimmy Smits, Entertainment Booking Agency is the right place. 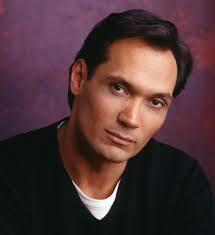 We will offer you the best price and contact the management or we directly contact Jimmy Smits. For corporate appearances or speaking engagements you can contact our agents and the will help you true the process. Tags: hire Jimmy Smits, Jimmy Smits booking, book Jimmy Smits, Jimmy Smits appearances, find more information on booking Jimmy Smits for appearances, Jimmy Smits speaking engagements, Jimmy Smits endorsements/spokesperson, Jimmy Smits appearance fees, Jimmy Smits booking agency contact info, biography of Jimmy Smits, Contact an artist booking talent agent find a speakers bureau that can book Jimmy Smits, speaker booking agency for Jimmy Smits, Jimmy Smits booking agency, Jimmy Smits booking for corporate event. EBA is one of the biggest entertainment booking agencies in the World. We book hundreds of celebrities, artist, athletes and speakers in a year. Important to know is that we are not claiming to be the management of Jimmy Smits. We are not the official agent for Jimmy Smits. Companies from around the globe book these artists and speakers true our company be course we have one of the biggest networks and we always have direct contact with the artist or the management. We help you to find the right celebrities for your corporate of private events. Please contact one of our agents to get free advice and we will help to get the world-famous artist on your party.